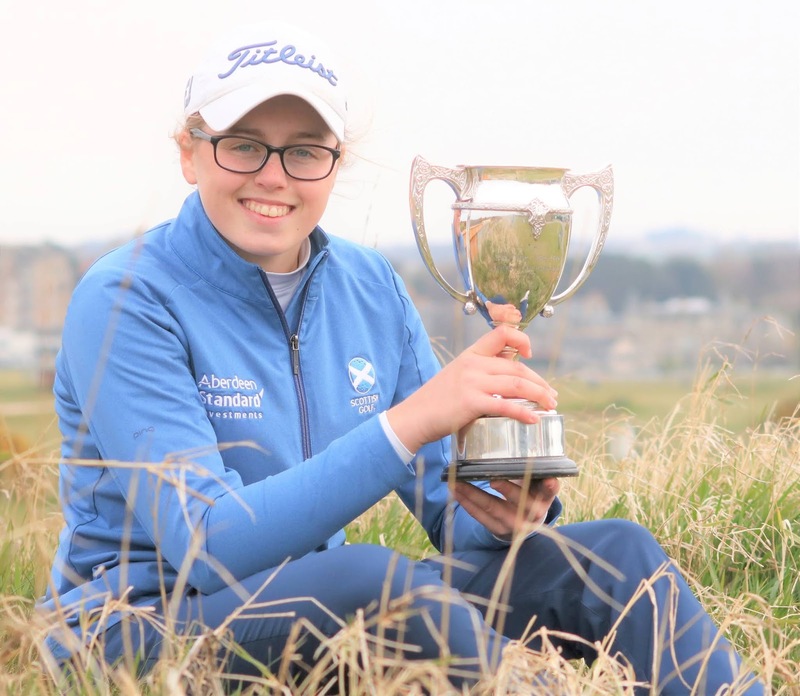 Scottish U18 girls champion from last year, Hannah Darling led from start to finish at the 2019 Scottish Girls’ Open Championship in a title march that saw her have six strokes to spare over a strong international field after 54 holes over the Eden Course, St Andrews today. Taking a three-shot lead into the final round, the 15-year-old outstanding prospect from Broomieknowe Golf Club carded her second even-par 71 round of the week to finish on four-under-par 209. England’s Ellie Gower was two-under-par through 12 but an 8 on the penultimate hole put an end to her chase. Darling, who had spoken about maintaining a level-head throughout the week, did just that, finishing with a birdie on 18th to secure a six-shot advantage.